Radial Engineering has added Kevin Knoll to the Vancouver, BC-based engineering team. In his role as senior design engineer, Kevin has been specifically tasked with designing the commercial line of Hafler brand amplifiers. (Radial Engineering acquired Hafler in 2014.) He will also be assisting the engineering team on various projects for all of the Radial group of companies. Kevin brings decades of technical, design, and manufacturing experience to his new role. 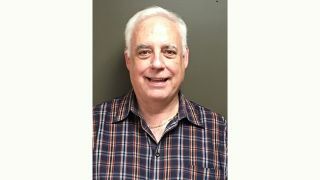 As founder and president of Knoll Systems (audio/video electronics manufacturer) for almost 30 years, Kevin designed electrical and electronic components for a wide variety of applications in the consumer, commercial, industrial, and military markets. He conceptualized, designed, manufactured, and sold the number-one brand of in-wall stereo volume controls with 60 percent of the total world market. Knoll also contributed as designer, engineer, and manufacturer for Leviton, and took an engineering management role with several large Leviton OEM partners on select projects (including JBL and Bose). His many industry achievements include recognition for HDTV design excellence and consumer product energy management.